NASA's InSIGHT spacecraft launched May 5 on an outbound journey to Mars, scoring a historic first: the first interplanetary spacecraft ever launched from the West Coast. But that wasn't the only first from this mission. 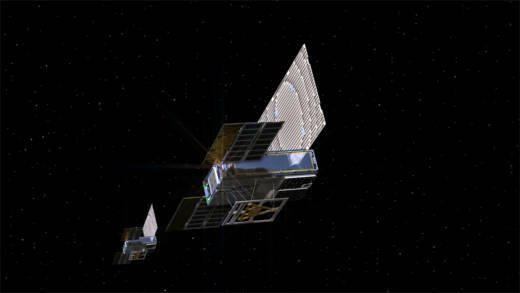 In a two-for-one achievement for the record books, InSIGHT was accompanied by two smaller spacecraft: "CubeSats" named MarCO A and MarCO B — together forming the Mars Cube One mission. The two MarCO CubeSats are the first satellites of their class to venture farther into space than low-Earth orbit — and with Mars as their destination they should hold onto that record for a long time to come. 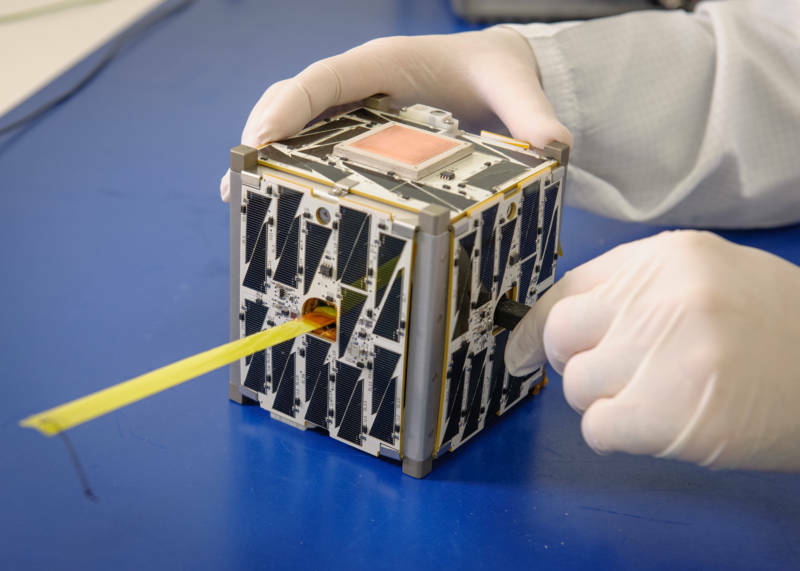 CubeSats are the brainchild of some out-of-the-box thinking about miniaturized, modular satellite technology, conceived back in 1998 at the California Polytechnic State University and Stanford University. Since that time over 800 have been launched into low-Earth orbit. CubeSats have been used in almost as many different research projects as there are CubeSats, more or less. They have studied almost every region of Earth's atmosphere, its surface, and the space weather environment surrounding our planet. One CubeSat project was an attempt to improve scientists' ability to predict earthquakes by detecting fluctuations in Earth's magnetic field. Another is studying genetic changes in E. coli to explore the effects on life by long-term exposure to the environment of space. Yet another will test the effects of space radiation on electronic equipment. CubeSat technology offers a cheap means for universities, private companies large and small, and even amateur groups to launch space-based projects into orbit. Modern CubeSats are assembled from one or more 4-inch cubical modules, each weighing less than three pounds. These tiny, Jack-in-the-Box-sized units have revolutionized space-based research, offering a low-cost option for experiments that might not get funding on more expensive platforms. CubeSats can be built using commercial off-the-shelf equipment— components from cell phones, digital cameras, and GPS receivers, for example — and so are far less expensive than custom-designed and manufactured satellites. A CubeSat may be built for as little as a few thousand dollars. CubeSats often ride into space as secondary payloads on conventional satellite launches, or are deployed from the International Space Station, which greatly reduces the cost to get them into orbit. The cost of launching a CubeSat runs anywhere from around $100,000 to as low as $15,000, a far cry from the tens of millions of dollars needed (at a minimum) to launch a conventional satellite. What Will MarCO A and B Do? Being the first-ever of their kind to leave Earth orbit — let alone head out for Mars — you might expect the two MarCO CubeSats to play a key role in the InSIGHT lander's scientific mission. In fact, they don't. In the true spirit of the low-cost, low-risk paradigm of the CubeSat clan, the MarCO twins are tagging along with InSIGHT to test a new idea: how CubeSat "tagalongs" with miniaturized communication and navigation gear can be used as real-time communication relays for spacecraft during time-critical maneuvers, like landing on another planet--in this case, Mars. MarCO will relay InSIGHT's telemetry to Earth as the lander descends, providing us with second-by-second details of the entry, descent, and landing maneuvers. During the seven-month trip to Mars, the CubeSats will make course-correction maneuvers with their thrusters to keep up with InSIGHT's own course changes, as well as test their imaging, communication, and navigational capabilities in preparation for the landing event next November. InSIGHT will not depend on MarCO for communication with Earth during its main science mission. That vital task will be performed by NASA's venerable and time-tested Mars Reconnaissance Orbiter. 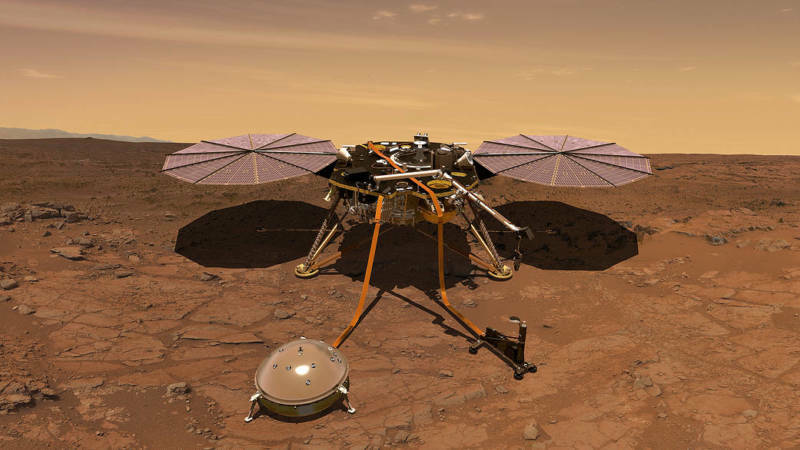 InSIGHT (standing for Interior Exploration using Seismic Investigations, Geodesy and Heat Transport) is on a first-of-its-kind mission of its own. Though set in the physical mold of stationary landers like the Vikings, the ill-fated Beagle 2, and Phoenix, InSIGHT's scientific goals are very different than its picture-taking, rock-drilling predecessors. InSIGHT will use a seismometer to monitor "Mars-quakes,” a self-burrowing temperature sensor array to measure underground heat flow, and a radio-wave Doppler experiment to make precise measurements of Mars' rotational characteristics. All these instruments together will help provide (dare I say) insight to the interior structure and thermal dynamics of Mars. With this data scientists hope to learn how Mars — and by extension, all four rocky planets, including Earth — originally formed in the earliest times of the solar system. Smaller "add-on" spacecraft have been sent into space before, but these were mostly probes launched by the main robotic spacecraft to extend a mission's scientific capability into a world's atmosphere or onto its surface. 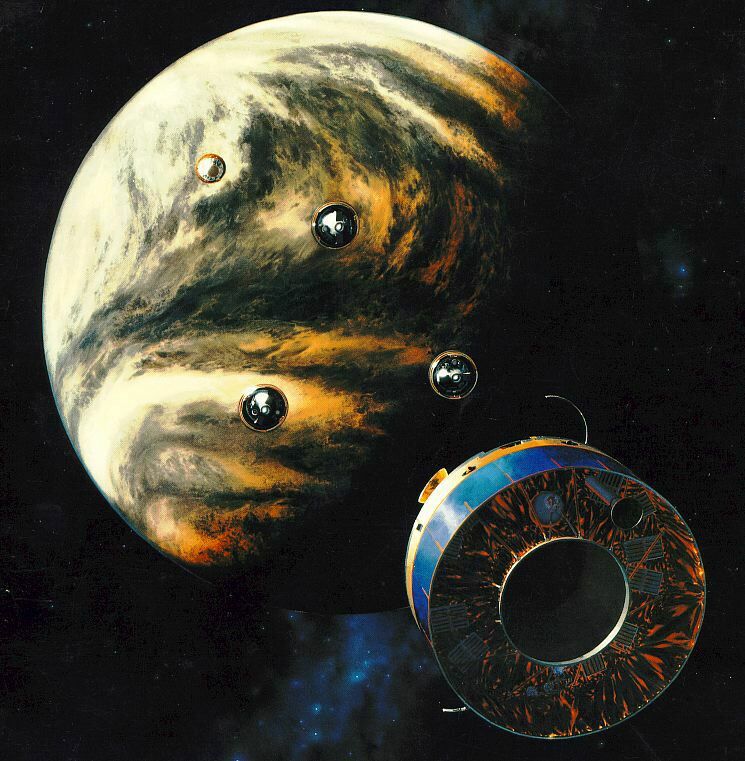 Pioneer Venus dropped probes into Venus' atmosphere, Galileo into Jupiter's. Cassini delivered the European Huygens probe to the surface of the enigmatic moon Titan. NASA launched two separate spacecraft, the Lunar Reconnaissance Orbiter and LCROSS, in the same rocket on otherwise separate missions to the moon. But for the CubeSat generation of tiny hitch-hiking space explorers, the two MarCO spacecraft are earning a place in history by demonstrating that their miniaturized, no-frills technology might be used in very deep space, far from the low-Earth orbit limits of their kin.